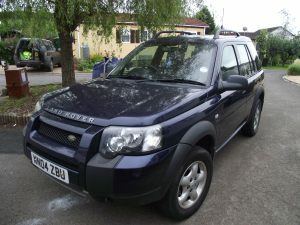 Description of car for sale : Land Rover 2004 O4 Freelander Manual petrol blue £4,500 84,700 miles, "2004 Freelander Se With Half Leather Trim Mot'd Until 07/08/2013 , Taxed Until End Of January 2013 Still Under Warranty Until 27th November 2012 New Gear Box, Transfer Box, Front Prop More. Email For More Details. Jamesbradley69@Yahoo.Com"